Education sessions are proving popular at Imex America, which kicked off yesterday. 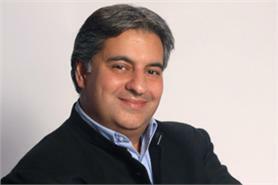 Futurist and director of the Convention 2020 Research Study, Rohit Talwar, yesterday discussed trends and innovations happening in the C&I industry. He said that shorter keynotes and breakouts, as well as more action-oriented formats such as speed-networking and speed meetings, will be the norm in the future with one-on-one access for delegates with the creators, scientists or developers behind new products. Talwar described how co-located breakouts have also been appearing with more frequency. He told participants that having a number of speakers available via headphones and then allowing delegates to choose which presentation they join based on the samples they had just heard is also on the rise. "Delegate choice is a bit like the killer app of our times," he said. "Through social media, apps and mobile technology today’s event-goers already expect organisers to communicate, add value and market to them more directly and personally. That trend will only continue to grow," he added. RFID tracking was also touted as an affordable technology to help meeting and event planners gain more insight into the interests, time investment and floor travel patterns of their delegates. Elsewhere, more than 400 delegates attended The Meet Different Day of Education which featured a variety of topics that included meeting design and sustainability practice. "Through collaboration and leveraging our powerful partnership with IMEX America, we are able to connect even more professionals with our content that is driving change in the industry," said Bruce MacMillan, president and chief executive of MPI. "Utilizing the Meet Different approach of leading-edge thinkers and unique room concepts is just one way we are to provide attendees with professional development on topics that matter to business now. I anticipate the three daily general sessions will be equally attended and well-reviewed."